If you follow Kickstarter campaigns you might have noticed the Remix Mini touted as the true Android PC, that runs on Remix OS. Jide Tech, the developer behind the Remix Mini has released the Remix OS for PC for those who want to Android on their PCs or laptops. 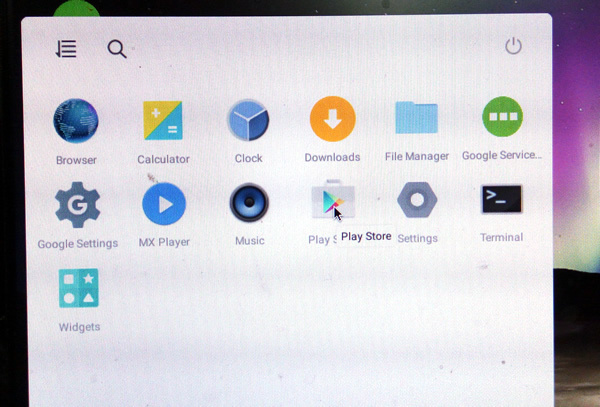 The Remix OS for PC is an Android variant developed Jide, it allows enthusiasts to run Android on their desktops. 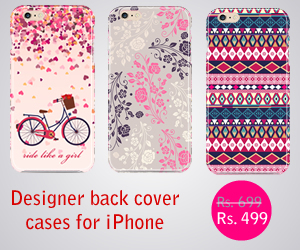 Android has grown tremendously in the last few years thanks to the proliferation of cheap smartphones. it has millions of apps in the app store. The Remix OS for PC is aimed at developers and enthusiasts at the moment and it is in beta stage right now, that means to say it is not ready for the general public and you might encounter bugs while using the OS. So be aware of the fact that it is not fully ready before complaining about the things that don’t work. It can be installed as a native operating system in PC along with Windows, in this case the system boots as a dual boot system and you select the OS you want to boot at the startup. You can also install it on a USB Flash Drive making it available with you wherever you want. 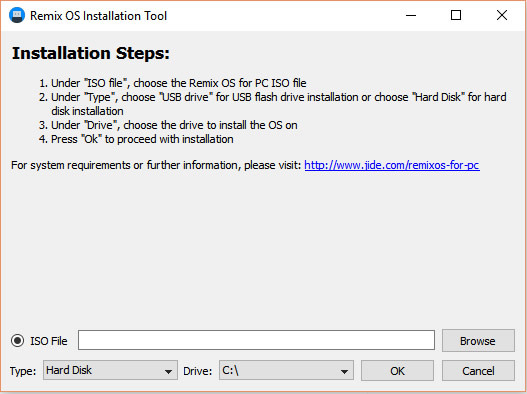 We will see the installation of Remix OS for PC on an USB Drive now. What you need for this is, an 8GB flash drive, Legacy Boot Enabled at BIOS on your PC, able to download torrent files. First you need to download the Remix OS for PC from the developer Jide. If you want to install it on a USB drive you need to download the 32-bit version. The file is just 562 MB in size. The Zip file contains both the installation file as well tool to install Remix OS for PC. Prepare the USB drive by formatting using FAT32 File system. Keep in mind that formatting the USB drive will erase all the data on the drive, so please take a backup of the USB contents before formatting. Now open Remix OS Installation tool, click on browse after ISO file and select the downloaded ISO file. Select USB Drive for the Type field and select the drive of the USB and select Ok. The installation process will take few minutes. 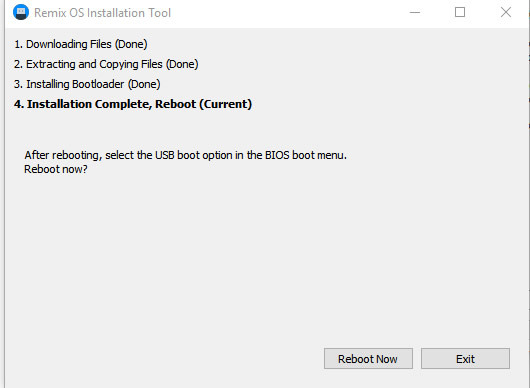 Once it is installed you can reboot the system and select USB boot option in the BIOS boot menu to boot into Remix OS. In new systems running UEFI boot you may have to disable the Secure Boot option from the BIOS to boot from the USB Drive. You can enter the BIOS at the system startup, usually the key for entering the BIOS is F12 or F10 depending on the system OEM. A simple Google Search will tell you the key to enter the BIOS. The USB Drive installation gives two options while booting, you have to select one, these two are Resident Mode and Guest Mode. The Resident Mode is if you want to save whatever you do after booting the OS, that is your files, apps and everything is saved in the drive, so next time when you boot you can start from where you left. The Guest mode is session wise, that means whatever you do after booting is for that session only and nothing is saved, after you exit the OS everything is erased, next time when you boot you have to start fresh. Select a mode that is best for you. Download the 64-bit Remix OS for PC from here and unzip the file. You will find the Installation tool and the ISO file. Currently the installation tool only supports, Windows 7, 8 and 10. Open the installation tool and select the ISO file in the ISO field. Select Hard drive as the type and select a disk drive that is empty. Make sure the disk drive data is backed up because everything will be erased. Click OK to do the installation. After the installation reboot the system to use Remix OS. In newer systems you might have to disable the secure boot for selecting the Remix OS during booting. After booting into the Android x86 you have to select a few options like Language, network etc to get started. Once you are in what you see is a barebones OS with a browser. You won’t get the Play Store installed with the OS installation. You have to install it separately. Open this link in browser and install the attached APK file (GMSActivator.apk), install this file by changing the settings to allow unknown applications installation. After installing the file you can install the Google Service which will install the Play Store app. Conclusion: If you are wondering how good the Remix OS is for the PC after this installation, not much at the current state sincerely speaking. It is not yet ready for prime time, but it is good for light usage and test things out and fire your favorite apps on a desktop. That is my opinion and you might find it useful in your way, so install it and test it for yourself. If you are really interested I would recommend to get the Remix Mini device and use connect with your TV that would make much more sense and quite useful i think.